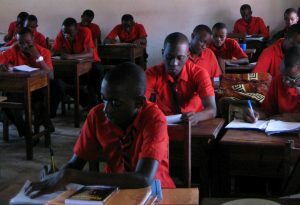 Lulu Boys High School (LBS), Lulu means “Diamond” in Swahili, is a secondary school for the 9th to the 12th grade. The 5 acre plot is located next to LPS. The school was founded in 2005 and was named Lulu High School. It offers space for up to 200 students, who can be taught in two streams. Until 2015, boys and girls were educated in mixed classes. 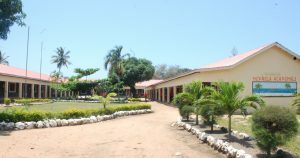 The vicinity to LPS was also the fate of Lulu High in February 2013, when the fire, which had erupted at LPS, supported by strong winds jumped to the makuti roofs of Lulu High. Except for the dorms, which have tin roofs, all the school buildings burned down to the ground. With the support of our sponsors and supporters, but most notably HelpAlliance, Lulu High could be rebuilt. Because the crowns of most of the trees were burned down, we planted some new trees, but surprisingly, all the burned trees sprung back to life after a few months, and today the school grounds (with some good will) look like a park. 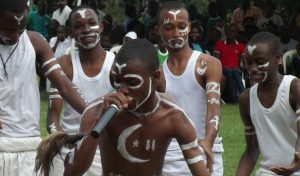 Mainly at the request of the students, the mixed school was divided into two schools in 2015. Lulu High School became Lulu Boys High School, and the rebuilt Heshima Primary School was converted into Lulu Girls High School. These are awfully many names now, but taking a look at the page of Lulu Girls High School will clarify things. Both secondary schools developed exceptionally well after the division. Anyone who has been a student of a boarding school during puberty will understand why. 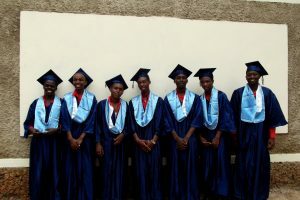 Many graduates of our secondary schools have now completed their studies and have started their own families. Among our alumni are pilots, doctors, lawyers, journalists, actuaries, entrepreneurs, teachers and tour guides. 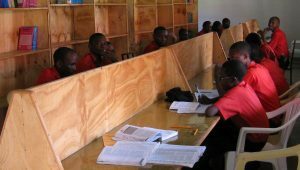 Many of them were sponsored at their time, and if you follow the careers of those students you know exactly why it makes perfect sense to become involved in such a project.